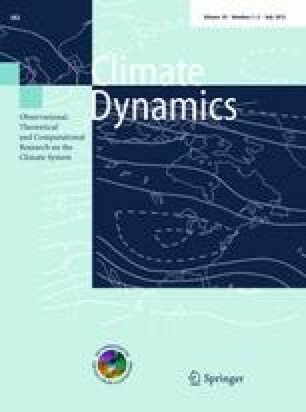 Globally-coupled climate models are generally capable of reproducing the observed trends in the globally averaged atmospheric temperature or mean sea level. However, the global models do not perform as well on regional/local scales. Here, we present results from four 100-year ocean model experiments for the Western Baltic Sea. In order to simulate storm surges in this region, we have used the General Estuarine Transport Model (GETM) as a high-resolution local model (spatial resolution ≈ 1 km), nested into a regional atmospheric and regional oceanic model in a fully baroclinic downscaling approach. The downscaling is based on the global model ECHAM5/MPI-OM. The projections are imbedded into two greenhouse-gas emission scenarios, A1B and B1, for the period 2000–2100, each with two realisations. Two control runs from 1960 to 2000 are used for validation. We use this modelling system to statistically reproduce the present distribution of surge extremes. The usage of the high-resolution local model leads to an improvement in surge heights of at least 10% compared to the driving model. To quantify uncertainties associated with climate projections, we investigate the impact of enhanced wind velocities and changes in mean sea levels. The analysis revealed a linear dependence of surge height and mean sea level, although the slope parameter is spatially varying. Furthermore, the modelling system is used to project possible changes within the next century. The results show that the sea level rise has greater potential to increase surge levels than does increased wind speed. The simulations further indicate that the changes in storm surge height in the scenarios can be consistently explained by the increase in mean sea level and variation in wind speed. Gauge data were kindly provided by the German Federal Maritime and Hydrographic Agency (BSH), the Danish Maritime Safety Administration (DaMSA) and the Swedish Meteorological and Hydrological Institute (SMHI). Supercomputing power was provided by HLRN (Norddeutscher Verbund für Hoch-und Höchstleistungsrechnen). We are grateful to Karsten Bolding (Asperup, Denmark) for the code maintenance of GETM.